To our assortment also belong the South Tyrolean bacon g.g. A. and the farm bacon. Buy now this product together with Smoked Sausages "Kaminwurzen" Bernardi Karl approx. 320 gr. ready for shipment: in ca. 5 days Smoked Sausages "Kaminwurzen" Bernardi Karl approx. 320 gr. Salami Gipsy type Steiner approx. 250 gr. Selected spices like rose paprika, sharp chillis and different herbs are sprinkled in the fine-grained beef, afterwards mixed and controlled with pork and other ingredients, matured slowly at low temperatures, results in an incomparably piquant but not too sharp taste mark. Very much appreciated for pizzas and snacks. Smoked Sausages "Kaminwurzen" Bernardi Karl approx. 320 gr. 8,00 EUR / 25,00 €/kg. Beef salami air-dried appr. 250 gr. 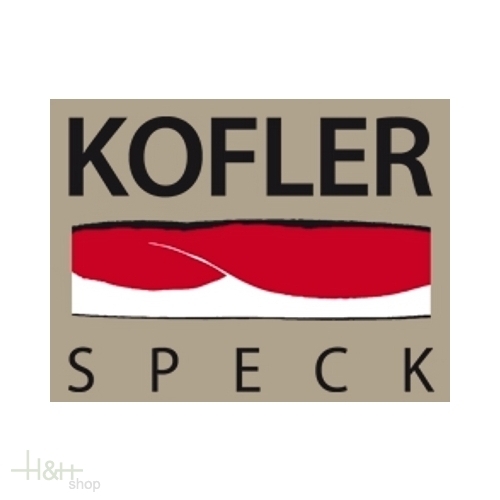 - Kofler Speck 7,80 EUR / 3,12 €/100 gr. Kranzl appr. 200 gr. - À La Carte - Tiroler Schmankerl 6,80 EUR / 3,40 €/100 gr. Würstel classic Villgrater 4 pc. ca. 240 gr. 4,50 EUR / 1,88 €/100 gr. Deer Salami appr. 800 gr. - Fuchs - Tiroler Schmankerl 20,55 EUR / 25,69 €/kg. Wild Boar Smoked sausages x3 vac. appr. 150 gr. - Kofler Speck 6,35 EUR / 4,23 €/100 gr. Smoked Sausages Chamoix type Villgrater approx. 220 gr. 8,15 EUR / 3,70 €/100 gr. Smoked Deer sausages "Hirschwurst" 2 pieces Nocker app. 150 gr. 3,70 EUR / 2,47 €/100 gr. Jägerkranzl appr. 300 gr. 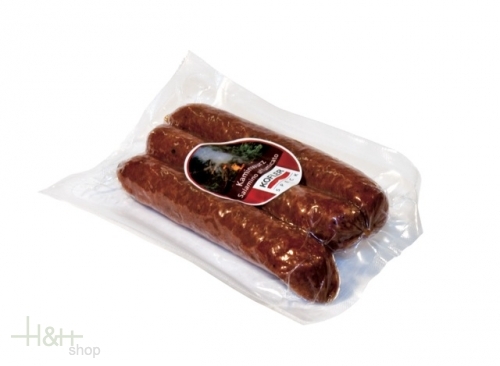 - Fuchs - Tiroler Schmankerl 7,55 EUR / 25,17 €/kg.